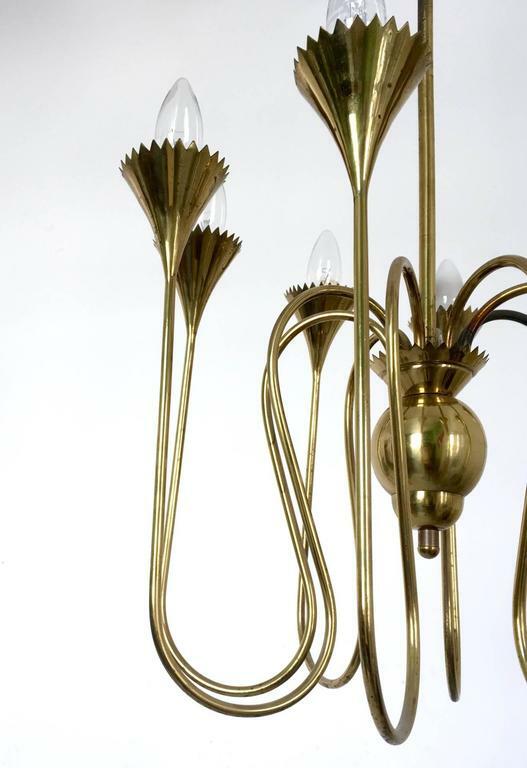 Made from blown and etched glass. 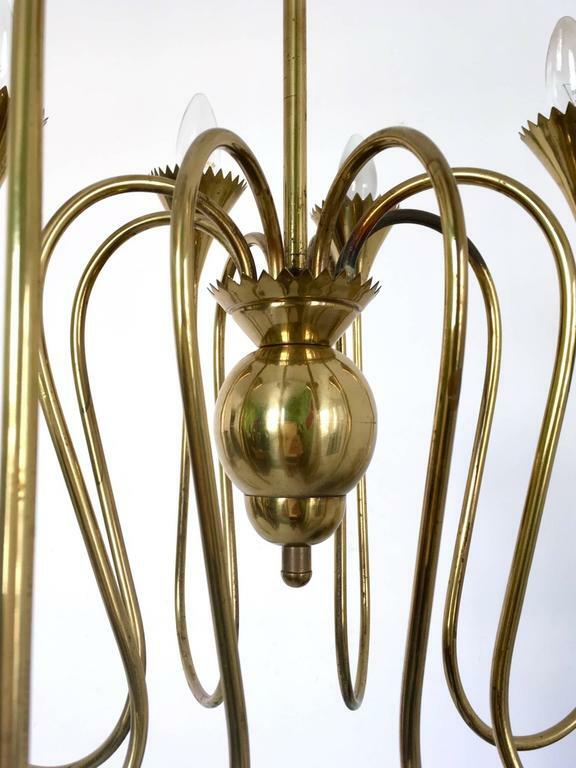 It has a brass structure with braided fabric. 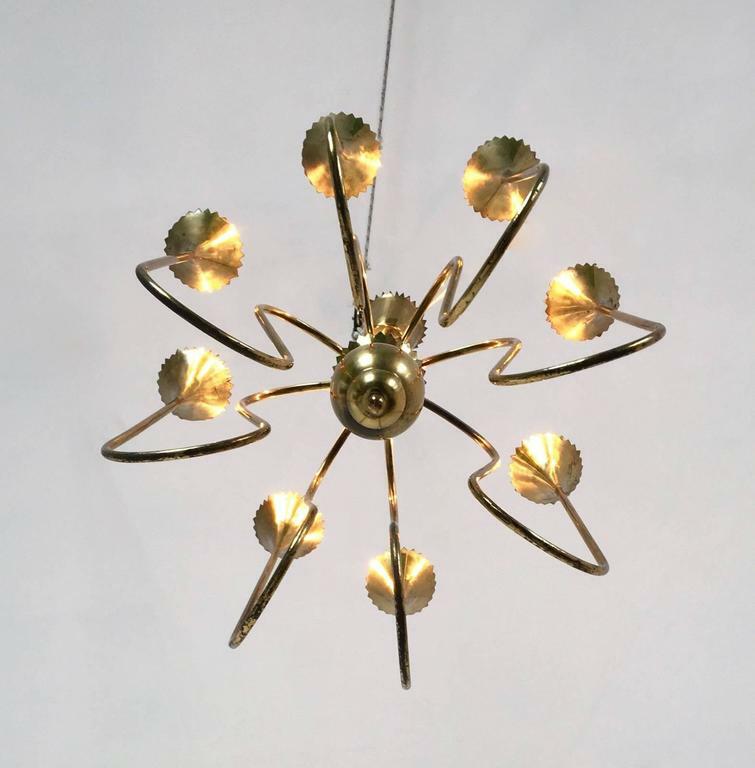 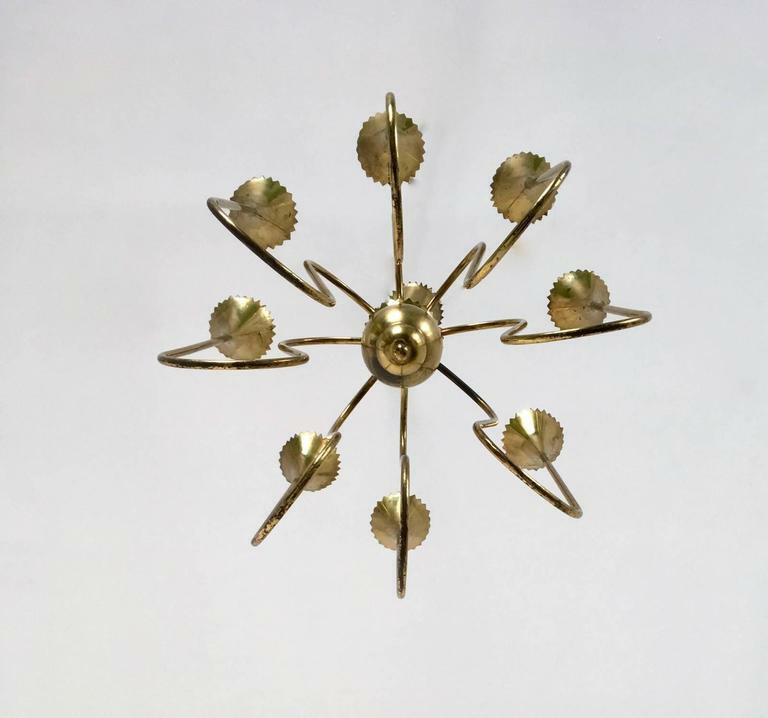 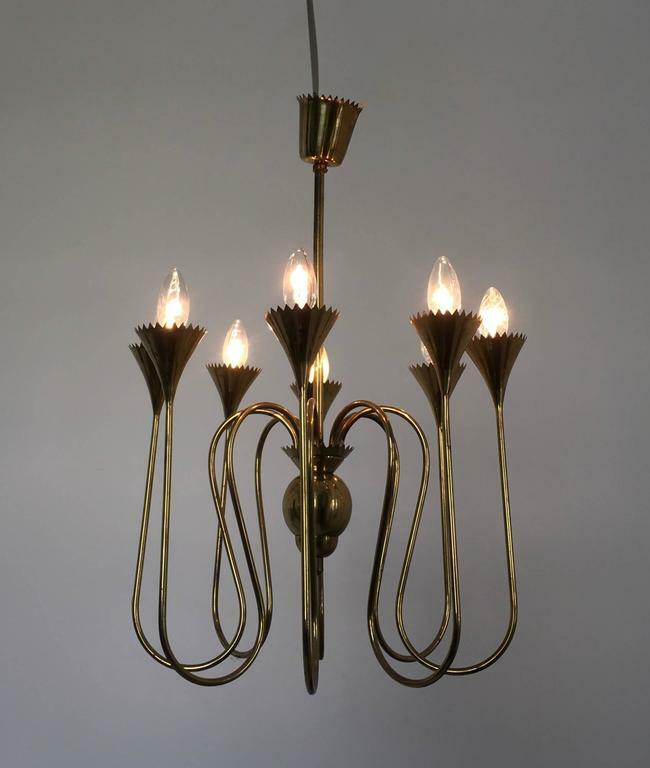 A very stylish and of great proportions, circa 1940s chandelier with the original glass shades, having been rewired to UK standards, that will make a statement in most settings. 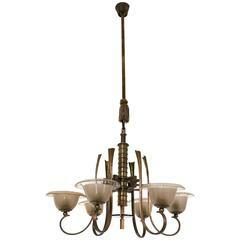 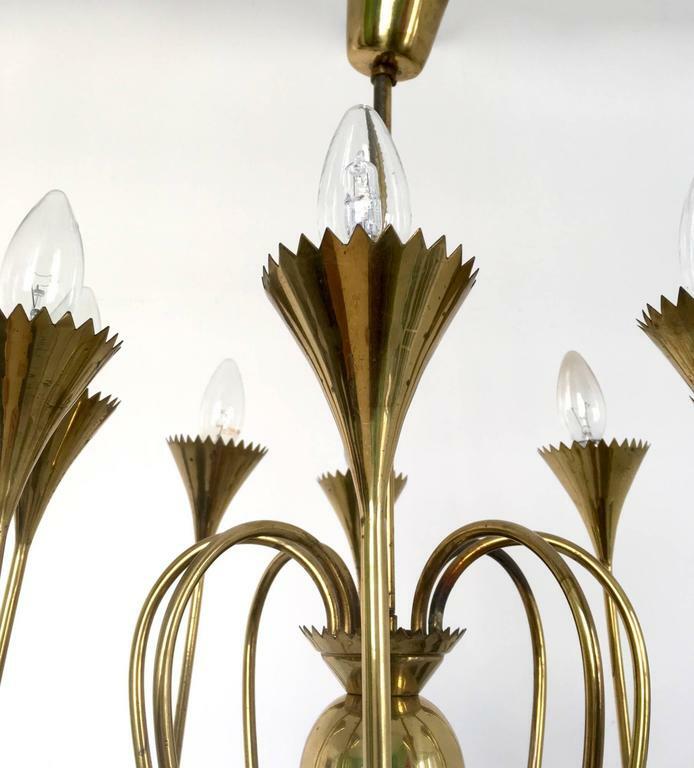 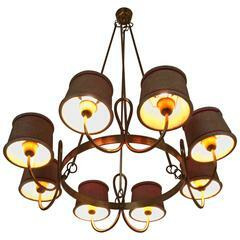 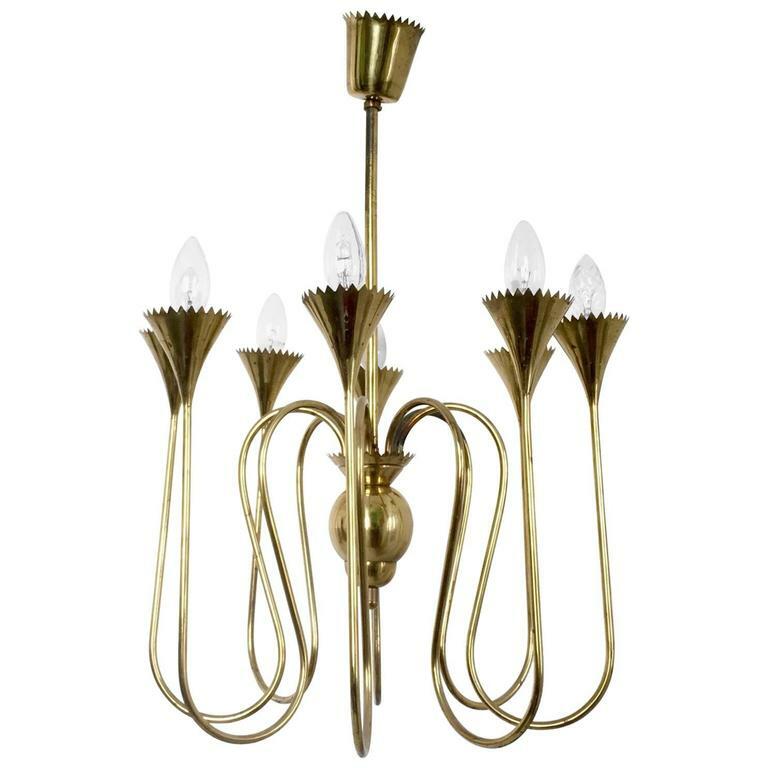 Elegant Italian Murano Art Glass, 1940s chandelier, elegant delicate and extraordinary manufacture.